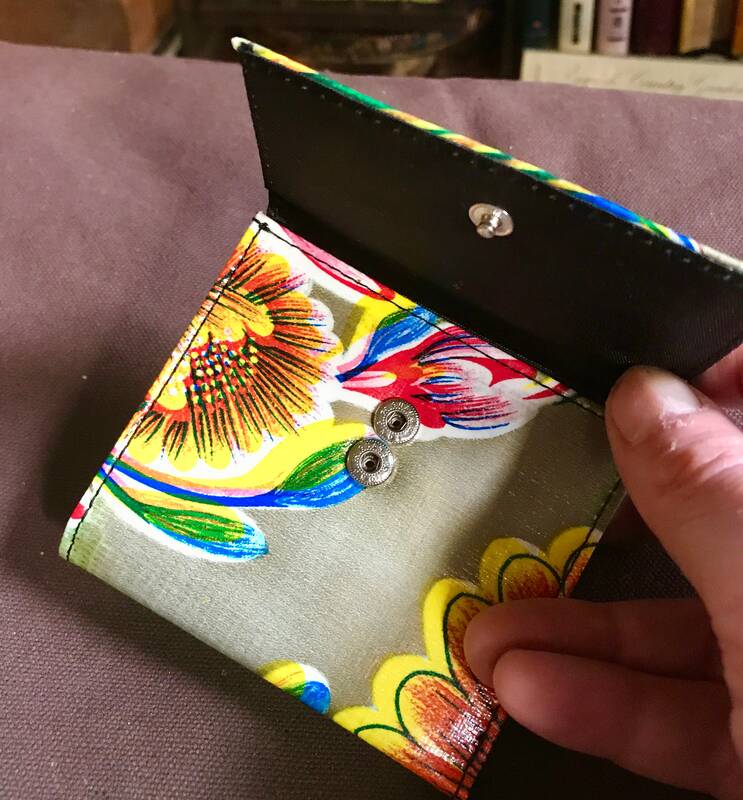 Our trifold French purse wallet is a fun bright accessory you can carry all year round. 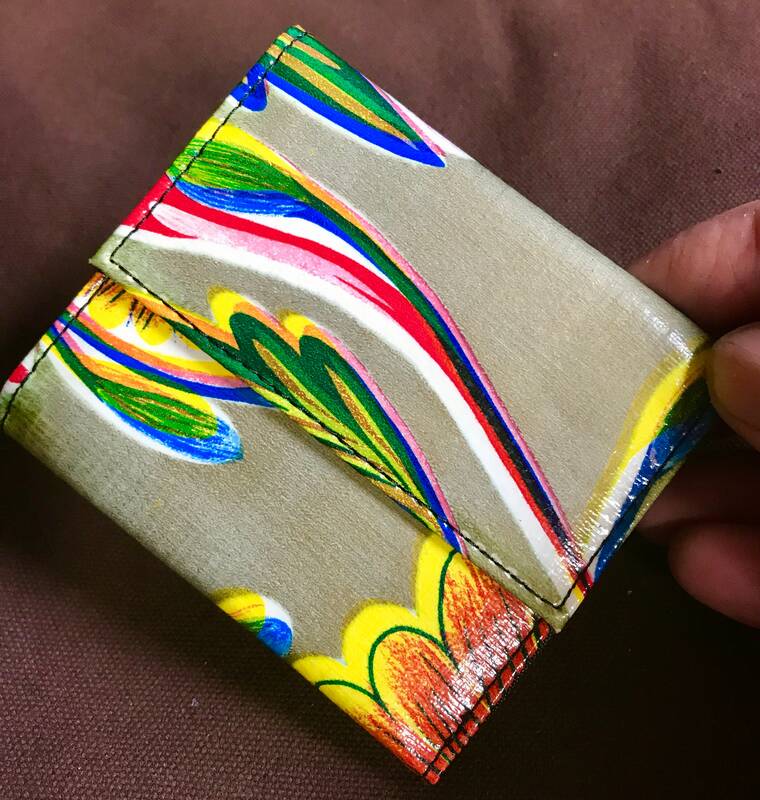 The gold floral oil cloth pattern will make you smile whenever you pull it out. 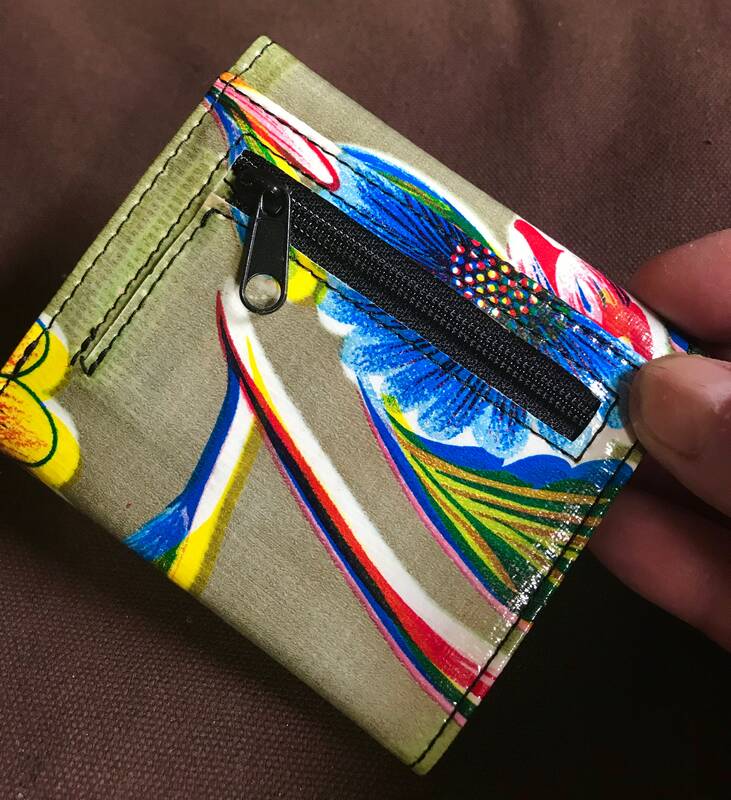 to fit in your jeans pocket. 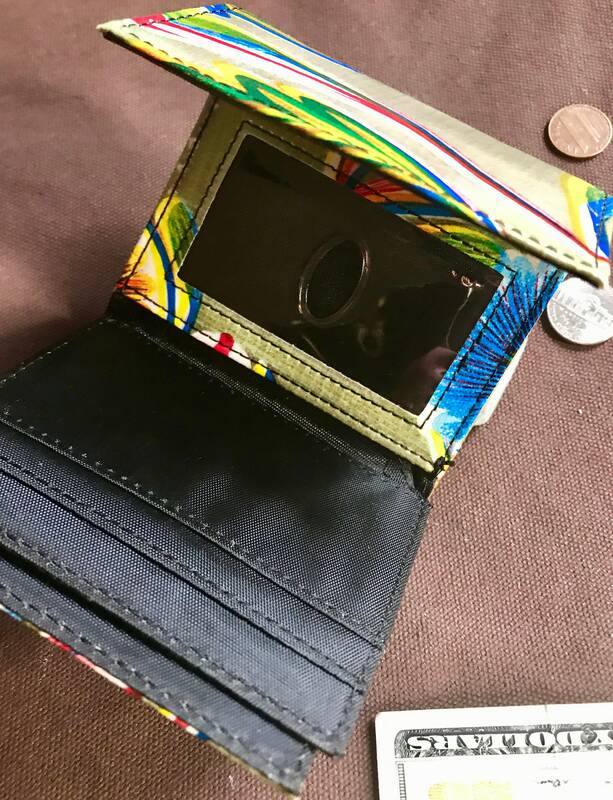 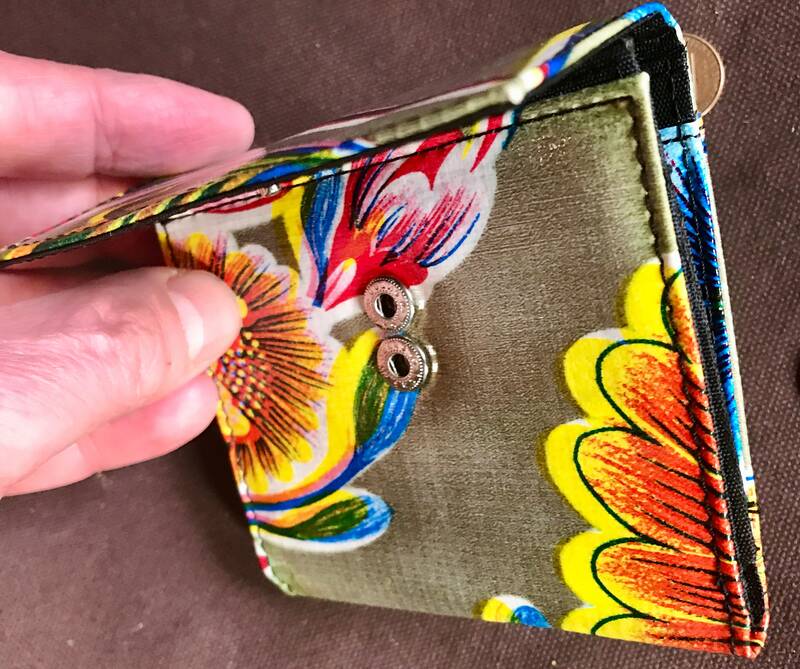 The pictured wallet is the one you will receive unless you would like to request one with more flowers.